Lubansenshi Constituency independent Member of Parliament Patrick Mucheleka has revealed that he has rejected president Michael Sata’s several manoeuvres to recruit him to the PF and give him a job. And the independent MP (and obvious rare breed of MP) says the PF has finished itself by removing subsidies which people in Lusaka and Copperbelt have condemned and rejected. Mucheleka also hinted that one day e he may run for republican presidency. 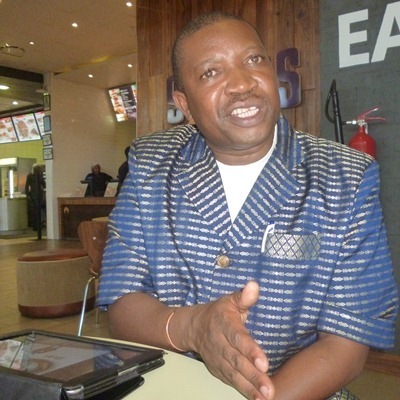 Mr Mucheleka said he would not want to resign and join the ruling Patriotic Front saying he was given a five-year term to bring development in Lubansenshi Constituency of which he has started doing. Mr Mucheleka said the PF has finished itself by removing subsidies which people in Lusaka and Copperbelt have condemned and rejected. “Several times President Michael Sata has called me to state house for me to resign but I have refused his proposal. I have been refusing, saying that I do not want to join the party which was almost collapsing,” he boasted. The Lubansenshi MP said ministers in Lusaka and Copperbelt provinces are failing to mobilize even a small meeting because people are not happy with what is happening in the government. “Mealie meal has gone up, fuel and transport gone up and I would not want to be part of PF cadres or government mismanaging the national resources,” he said. Mr Mucheleka said he will start mobilizing resources to ensure that he runs for presidency in 2016 or 2021. “I can assure you PF is going nowhere. It is us who campaigned for the down fall of the Movement for Multiparty Democracy (MMD),” he revealed, adding that they (Mucheleka and others) will use the same weapon used on the MMD in 2011 to butcher the PF government and remove it from power. Mr Mucheleka lamented that President Sata was now picking people from opposition to assume appointments instead of the cadres who laboured for the PF since 2001. He said because of this behaviour, many of the people have decided to withdraw their support for Mr Sata and his government. Mr Mucheleka observed that the people who insulted him during the run up for 2011 election are the ones enjoying the sweat of those who laboured, financed and risked their lives for the Patriotic Front. He said many of the people who campaigned for the ruling PF have ditched and are asking him to stand for Presidency in 2016 and 2021. Mr Mucheleka is in Luwingu to witness the hand over site to the contractor working on the Chepeshi – Shimumbu roadwhich is funded by the Ministry of Local Government and Housing. Last year, the PF failed to get Mucheleka’s seat through the back door after Lusaka High Court judge Petronella Ngulube dismissed an election petition by the Patriotic Front’s losing candidate y Lazarous Chota. Delivering judgment on March 15, 2012, judge Petronella Ngulube said after analysing the evidence before her, she found that voters in Lubansenshi were not prevented from electing their preferred candidate and that nothing affected the election results in a negative way as alleged by Chota. Judge Ngulube said Mucheleka was so favoured in spite of being an independent candidate and that he carried out his campaigns with the support of many stakeholders in the constituency, resulting in him being elected member of parliament. She said from the evidence before her, it was clear that Chota was rejected by the people in the area who in turn asked Mucheleka to stand as an independent candidate. “I find that the allegation by the petitioner was not proved to the required standard and as such not substantiated,” she said.